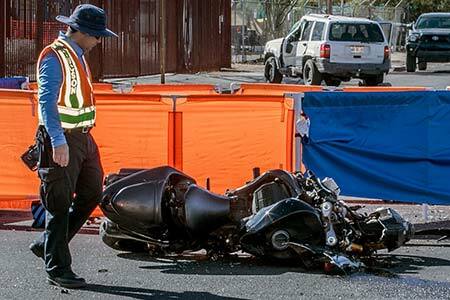 Tucson, Arizona—Randy Zimmerman, age 25, was killed when his motorcycle smashed into the side of an SUV on Thursday morning. The Tucson Police Department responded to the accident at Stone Avenue and Blackridge Drive. Accident investigators determined that two motorcyclists were sharing the curb lane at a red light on northbound Stone at Glenn Street. When the light changed to green, both motorcyclists accelerated to proceed through intersection. A short distance ahead of them, a Jeep Cherokee was entering the roadway after having stopped at a stop sign on Blackridge Drive. As the Jeep pulled into the roadway, Mr. Zimmerman was unable to avoid the and collided with it. He was pronounced dead at the scene. 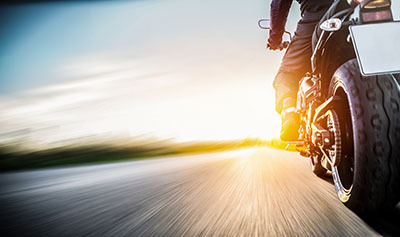 The second motorcyclist was able to lay his bike down in time to avoid another collision. He sustained serious injuries that are not considered life-threatening. It is not known whether the Jeep’s driver suffered any injuries. No citations have been issued and the investigation is ongoing. We extend our condolences to the family and friends of Mr. Zimmerman over this tragic loss, and we wish his fellow rider a speedy and full recovery.